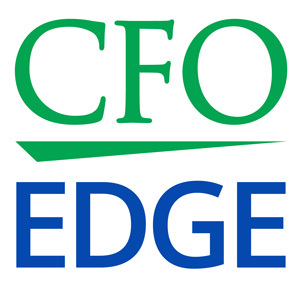 What Outcomes Should You Expect From a CFO Services Engagement? Home > Blog > CFO Services > CFO Services FAQs > What Outcomes Should You Expect From a CFO Services Engagement? This time-tested advice holds true in most areas of business, and of life in general. It’s especially good advice for any CEO who is considering engaging an outsourced CFO services provider. Before entering into such an engagement, you should think carefully about the outcomes you hope to achieve from the engagement. Otherwise, you won’t have any criteria against which to measure the performance of the outsourced CFO services firm—or whether you’ve achieved a satisfactory return on your investment in the engagement. The outsourced CFO should be able to indentify inefficiencies in your business and your financial operations and prescribe solutions that will increase productivity, both among staff and in your core processes, financial and otherwise. Enhanced productivity, in turn, should result in higher gross and net profit margins. In addition to boosting productivity and profits and controlling costs, an outsourced CFO should also help you increase revenue, ROI and, ultimately, overall shareholder value. With the perspective of an objective outsider, the outsourced CFO can usually spot waste and suggest and implement cost-reduction and control strategies. With this control, you and your executives can better understand the “big picture” of your company’s finances and make better strategic business and financial decisions. It also enables you to think and act more proactively, rather than reactively. All of this may place your business in a better position to take advantage of new and unexpected marketplace opportunities as they arise. Your existing staff may not have the capacity to meet such critical time-specific deadlines, but the outsourced CFO should bring the necessary expertise and focus to make sure they are met. This is one of the greatest benefits of hiring an outsourced CFO: The ability to focus more on your business’ core competencies, as well as other strategic areas of you staff and the business. Ultimately, engaging an outsourced CFO services provider should provide you and your executives with more satisfaction, since you will have the assurance that your company is operating at peak financial efficiency. And this may provide peace of mind that is hard to put a price tag on. CFO Edge has worked a number of Southern California companies like yours to help them achieve outcomes like these. Our CFOs become trusted, fully integrated members of our clients’ teams—a result of our goal to place CFOs who are a good fit with clients in terms of personality, work style and culture. This helps ensure a successful collaboration so that our clients realize the gains and financial outcomes that were targeted at the outset of the engagement. Most importantly, our clients experience the satisfaction and peace of mind that come from delegating high-level objectives and tasks to experienced financial professionals who are capable of executing these tasks in ways that don’t just meet—but exceed—their expectations. In the ninth and final article in this series, CFO Services in Action: Mini Case Studies, we’ll describe several real-life scenarios where CFO Edge was able to successfully accomplish the objectives and outcomes identified and targeted by our clients.